Dee Marks Hotels & Resorts is a wedding venue at NH8 near Indira Gandhi International Airport. It offers 2 banquet halls and one open garden, fitting 350 - 1200 guests. Despite being a more affordable wedding venue, this hotel does not compromise on food, decor and all your wedding requirements. They offer highly rated catering service with vegetarian and non vegetarian options on a price per plate basis. Don't forget to enquire early. A wedding entails many functions and requires eye for detail on nitty gritties that need your attention. And because its your occasion, reflecting your vision, they take it as their job to help you realize it by catering to your every whim with custom tailored menus, inimitable settings and seamless service. From intimate gatherings to traditional ceremonies to extravagant and whimsical themed galas, they can do it all. 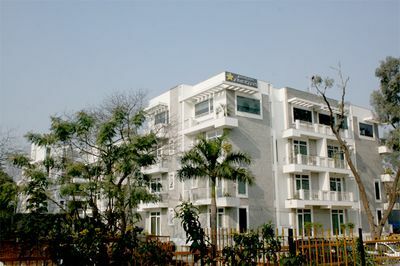 Four Points by Sheraton is a luxury hotel located at NH-8, Samalka New Delhi. The property is situated right on the airport highway and is extremely conveient for guests. 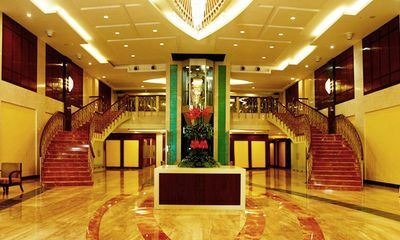 The 5-star property has three wide sections consisting of a banquet hall and two big lawns. 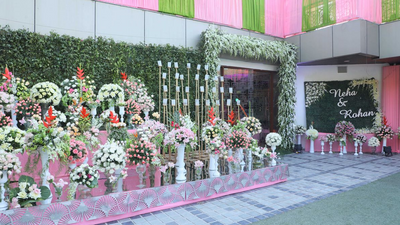 The professional in-house decor team at Four Points by Sheraton is popular for hosting beautiful weddings, reception or engagement You can also get their caterer team on board to treat your guests with Veg & Non-Veg delicacies. So, if you are looking for a luxury wedding hotel in Delhi NCR, Four points by Sheraton can be one of the best choices. Get best deals with Wedmegood. Ocean Pearl Retreat present you a ideal backdrop for the intimacy and grandeur of a wedding. 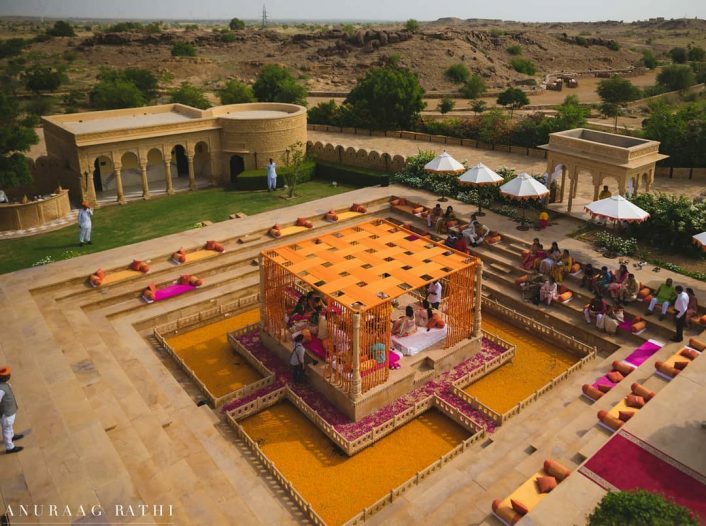 With 5 artistic indoor venues for 100-1000 people and 2 lush green outdoor venues for 500-1500 people,can host all weddings, corporate functions and banquets. From a simple ceremony to a grand extravaganza, Ocean Pearl retreat has residential weddings packages to suit every level of sophistication and budget. The trademark warmth and hospitality is reflected in its personalized wedding management that ensures that every little detail, however small, is given the attention it deserves making your auspicious day memorable for you. Rooted since 1931 by Mr. Balak Ram, Tivoli Hospitality Group expresses the world of comfort, opulence, and elegance. With over 5 major properties in Delhi, Tivoli offers its guests with a unique and unforgettable experience in the lap of luxury, blending true northern hospitality along with state-of-the-art modern facilities. They are known for exhibiting and creating grand, exquisite events and so is one of the leading banqueting experience groups in the country. Over the past eight decades, Tivoli has established itself as the most happening place in town for parties, weddings, MICE (Meetings, Incentives, Conferencing, Exhibits) Events and Family Celebrations alike. They offer a plethora of in-house services like catering with a starting price of 1300 per plate for vegetarian and 1500 for non-vegetarian. 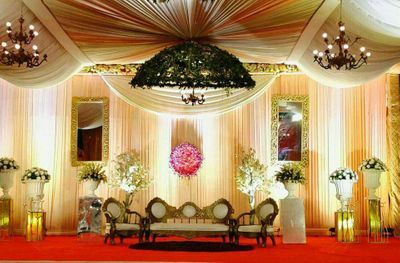 They also provide grand decoration services starting at 70000 for a luxurious wedding. 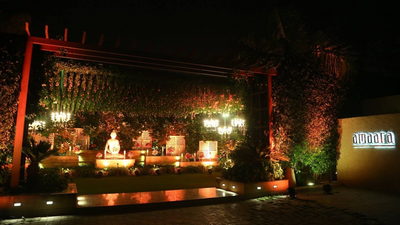 On the Chattarpur main road and outstretched in lush environs, Amaara Farms is the preferred wedding and event space. Amaara offers the state of the art facilities. Its 7000 sq. ft. all-glass banquet hall, abounding in graduer, opens onto a landscaped and manicured outdoor area of about 55000 sq feet. While the daytime view is alive with all shades of shimmering green, the night is electric with the Buddha idols emitting their balmy glows. The capacity of the lawns is anywhere between 250 to 2500 guests. Facilities include a contemporary pre-function assembly point, a well-furnished bridal room and attended restrooms for guests. The property offers an internal parking space of over 2 acres together with valet services. The leading professionals in catering, decor and entertainment figure in our preferred vendors. Famous for their excellence, they make every effort towards making your celebrations at Amaara outstanding. We believe in injecting the magical and the sublime into your special day. Banquets & party venues in the heart of South Delhi. 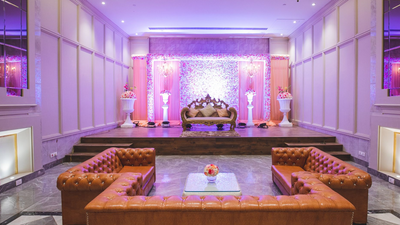 How to select the best banquet hall in South Delhi? 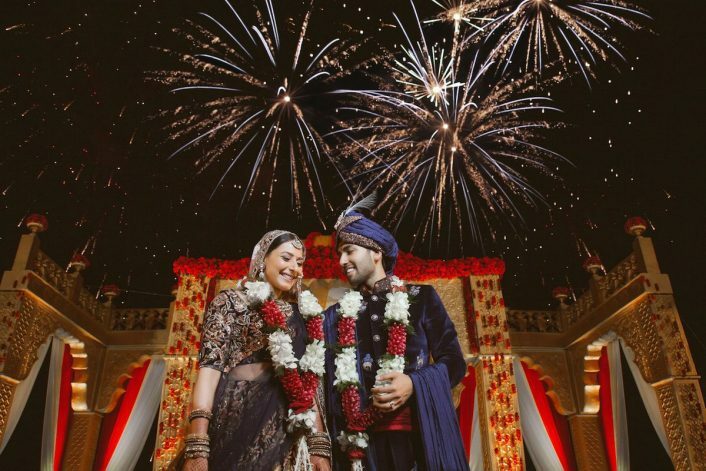 When it comes to indoor wedding venues, South Delhi has a lot of variety; 56 beautiful marriage halls to be precise. And we’ve listed the 15 best banquets that have been consistently praised by real couples for their food, ambience and professional service. Banquet halls in South Delhi are great really; they offer budget options for small functions and also luxury locations for big fat weddings. If you’re looking for the best deals on booking, check out the WedMeGood venue concierge service. We give you personalized venue suggestions, accompany you on site visits and get you up to 30% off on their price! 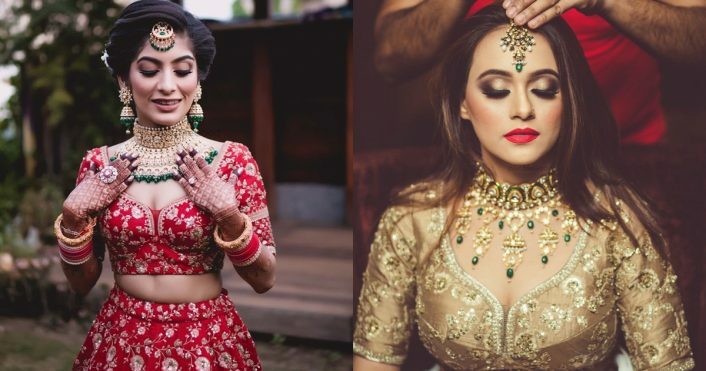 Trained staff – Experienced service is something every couple looks for because weddings tend to get chaotic and you need the staff to handle stuff on their own. Availability of rooms – Whether it’s your engagement, reception or cocktail banquet, outstation guests are going to need a place to stay overnight. If a venue also has rooms, you save big on transportation. Rentals included – The price per plate generally includes rentals for tables, chairs, linen and cutlery. Temperature control – No worrying about unpredictable rains and wind knocking off elements from your décor. Combined packages – A lot of banquets have in-house catering, decoration and entertainment options. If you take their combined package, you can save yourself the trouble of dealing with multiple vendors and contracts. Parking – The most important plus about choosing banquet halls in South Delhi is their parking space (and valet services). When a venue doesn’t have this facility, it causes a lot of inconvenience to the people attending. 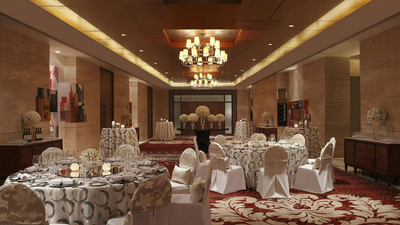 Capacity – South Delhi is home to the best banquets, their capacity ranging from 100 to over 1000. And what’s more you can filter them on the basis of “number of guests” on our venue gallery. Lack of flexibility – Indoor venues like hotels and banquets do not offer the same amount of flexibility as an outdoor location. There are limitations to décor and seating arrangements. Lack of natural lighting – Low lighting is another minus. Photographers have to rely on artificial lights which don’t compare to a picture taken outside. Having said that, you can ask your decorator and photographer for trade secrets and tips to make the best out of the situation. 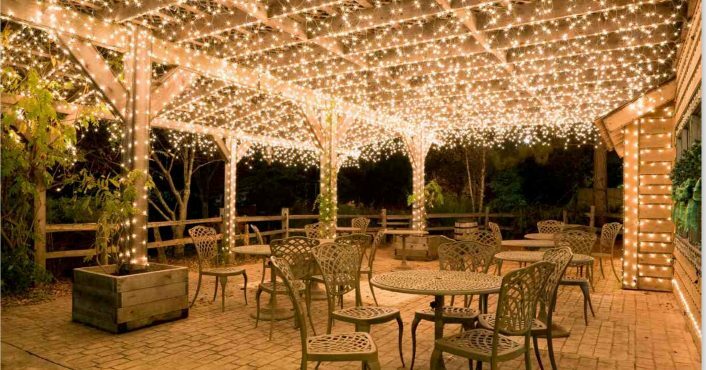 One example is to use a LOT of fairy lights – dreamy and gorgeous. Restrictions – Sometimes venues have time and sound restrictions. Other times they may ask you to choose vendors from their panel restricting other outside vendors. 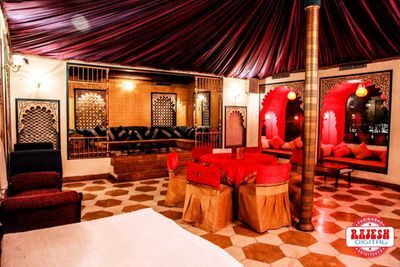 Not unique – Banquet halls in South Delhi while glamorous and grand, don’t necessarily have that wow factor that comes with picking an unconventional venue (think poolside, country club, vineyard etc). Hidden costs - Marriage halls generally charge corkage fees if you get alcohol from outside, overtime charges and fees for various licenses. So make sure you get a breakdown of everything in writing before making payments.